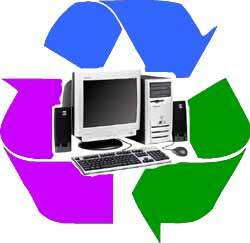 Neuwaste collects unwanted materials from businesses in Southern California focusing primarily on ewaste. We specialize in the efficient, economical, and environmentally-friendly disposal of wastes produced in the modern office setting. Materials collected by Neuwaste are delivered to the appropriate handlers where the materials are broken down to the raw materials that make up the device. We have the knowledge, licensing, insurance and logistics to carry out any size job. Why choose Neuwaste Business Recycling? E-waste recycling is always free! A percentage of working material collected will be donated to non-profit organizations, schools, and low-income families in need of technology equipment. All hazardous materials recycled domestically! We can service your business with only 48 hours notice! We offer weekend and after-hour collection services!